Had my ortho visit today. Took a looooong time! Step 1: remove all the buttons/attachments that help the aligners grip your teeth. That was fun…felt like they were drilling the side of my tooth. The doctor also shaved down some of the “sharp” edges of some teeth. Now they look all smooth and nice! Step 2: do another set of molds/impressions of my newly attachment-less teeth. No gagging this time, so I’ll call it a success. 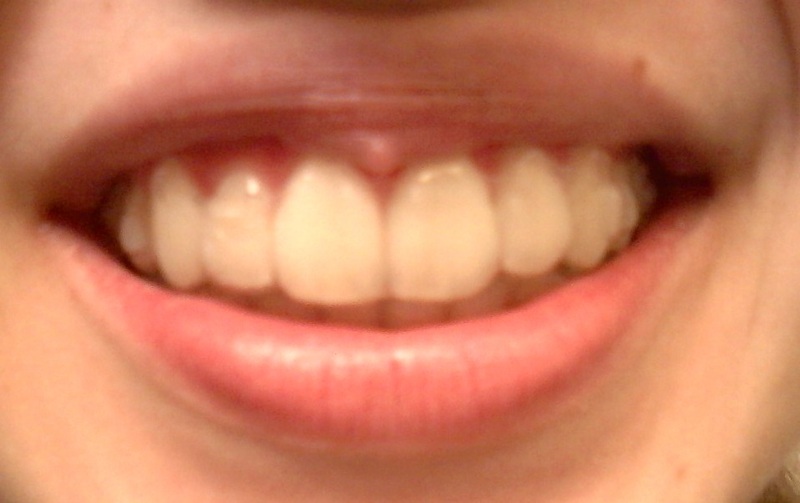 Step 3: take photos of my teeth (I didn’t get them though, sad…probably next time). So my new impressions have been sent in for my refinement aligners (I think that’s what they’re called). For now, I need to wear my last set of aligners (the 38’s), only at night time! Which basically means I can eat whatever the hell I want, whenever the hell I want! PARTY! Invisalign: It’s Finally Here!!! Tray 38! I know you’ve all been counting down and waiting so excitedly for this day to come! You’ve all been marking it down on your calendar, excited for the big unveiling!…no? Was it just me? Well then maybe I won’t share my progress with you…. Ah who am I kidding, I couldn’t do that to you. So without further ado, here are the before and afters! Now…the treatment is not yet complete. 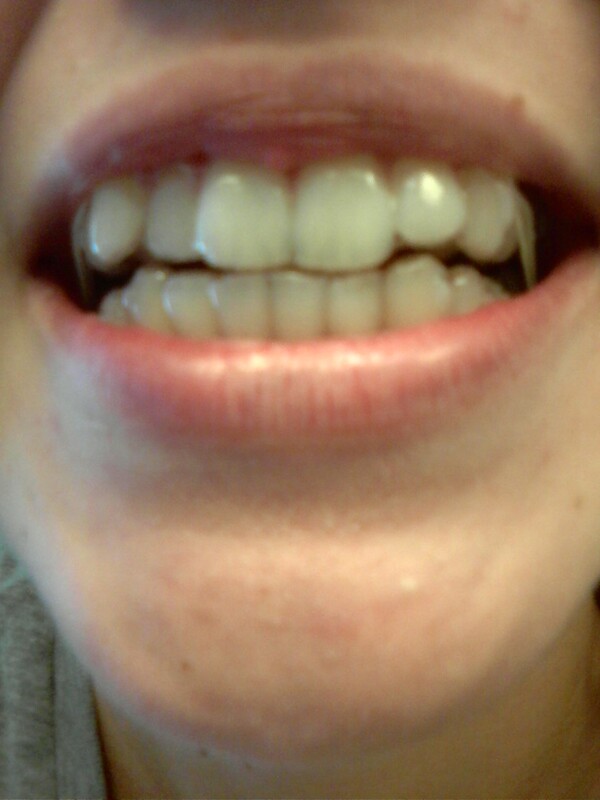 Teeth are not completely straight yet. I didn’t take a picture of my bottom teeth, but there’s still one tooth that’s not quite in line yet. I don’t think the top ones are quite straight yet either, but I must admit, they look so much better than before! So I’ll be going to see my ortho in 3 weeks to get new impressions done and then another round of trays. Not sure how many! But look at all the progress so far! Yay! !